Electrician trade, the tools, panels, motor etc with high quality readily available.All tools motors ,panels wth 2 year replacement warranty on site.We provides succesful demonstration at site .Customer satisfaction is our motto.We believes in relation much more than bussiness. With reference to your above mentioned enquiry, we are pleased to enclose herewith our quotation for the supply of equipments along with our terms and conditions for your kind consideration. We are proud to inform you approx 200 institutes we have established ITI/Polytechnic/Engineering /NIT/IIT’S/Skill Centers with various labs i.e. Civil Engg, Automobile Engg.,Mechanical Electrical Electronics,Architect,Chemical Engg.with the help of our team members and institution support. 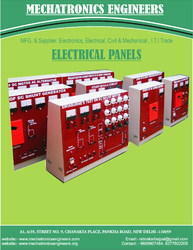 We are also enclosing our detailed product catalogue for your ready reference. 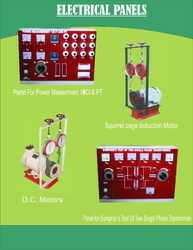 It will give you sufficient information about the products. We hope you will find our quotation competitive and as per your requirements. However, if you require any other information or clarification, please feel free to contact us. Note- We Also Take The Full Consultancy To Open New Setup Of ITI/Polytechnic/Engg.College. Looking for ITI Electrician Tools motors ?